Taking about my hero and my favorite icon Sachin Tendulkar as he says that we all should dream and work with passion and dedication to make our dream come true. For everyone, dreams could be different and unique, someone wants to be a doctor or scientist and for someone it could be to travel around the world or become CEO and run his own organization. As a growing kid, I always had a dream to be a successful person like my father and want to turn his dream into reality. His dream is to have a big bungalow and farm house in the countryside and have a luxury flat on the last floor of any luxury building. He wants to enjoy weekend at the farm house and also at same time be connected with the city and avail all the luxurious facilities in his flat which help him to relax and enjoy better quality of life. Building your home and turning into reality requires a lot of effort and it is most difficult task for anyone. There are so many important factors from choosing the layout of the room, type of locality where it is located and its price. Also how close it is to the airport, hospital and about basic amenities like water, electricity and security. After taking the big bold step to buy the house and taking over the keys, the real issues starts about color of the walls, furniture size and whether it has enough space to accommodate everything we have. 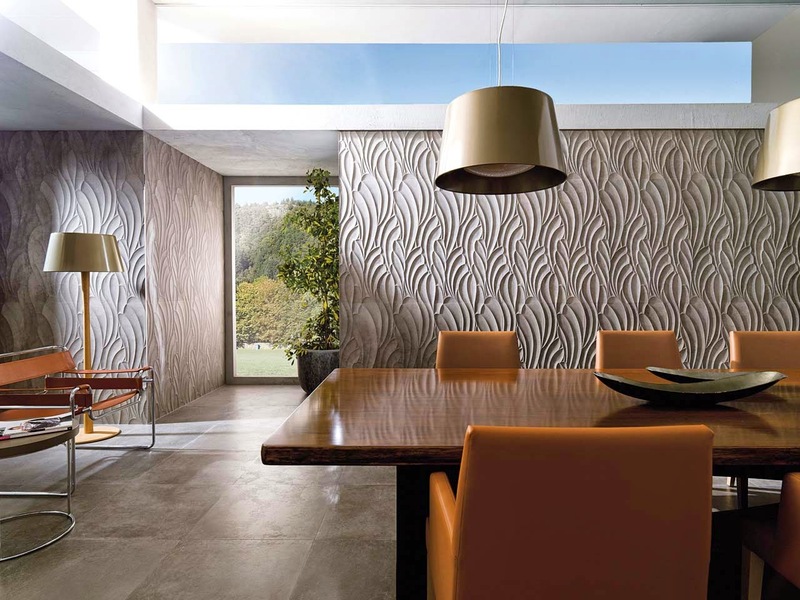 which Porcelanosa offers with latest design on their website The 24k Living. I would start with bathroom accessories as for me, it is the personal place where we get time to relax and want to get fresh before going for work. I like the idea of big mirror and space between bathroom and toilet so it can be used by more than one person while privacy is maintained. My mom is best when it comes to color combination, she likes wood work too much and walls painted in silver color for dining room with lamp above the dining table. 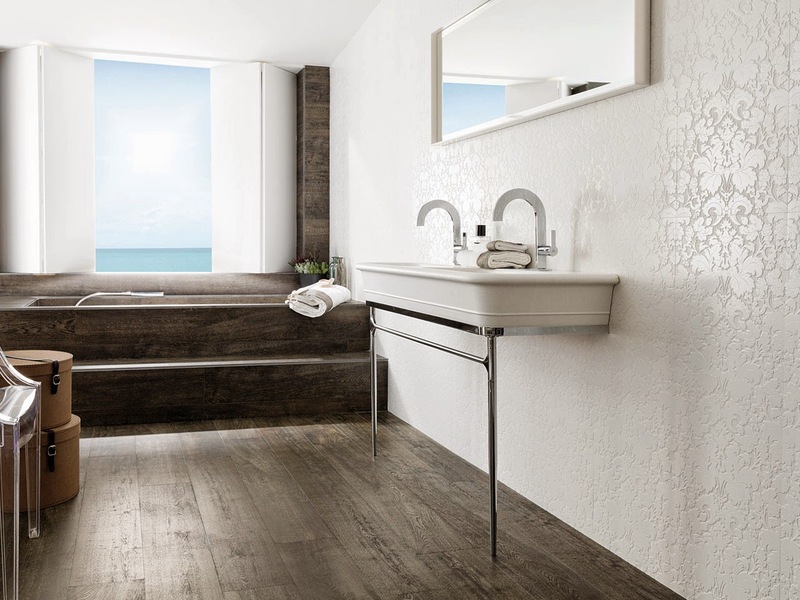 This combination from Porcelanosa would be perfect. Kitchen is the most important part of home and place where we want to cook food and keep utensils. Kitchen should be designed in such a way that there is ventilation system and storage space. There should be shelves to keep fruits, kitchen appliances like microwave and place for washing used utensils. This kitchen from Porcelanosa would be perfect for my dream home as it has everything synchronized in order and keeping food stuff. Next comes the bed room, Bedroom should be such that where there is enough lighting and floor should be covered and side tables for keeping my bag and other stuff like mobile or laptop. 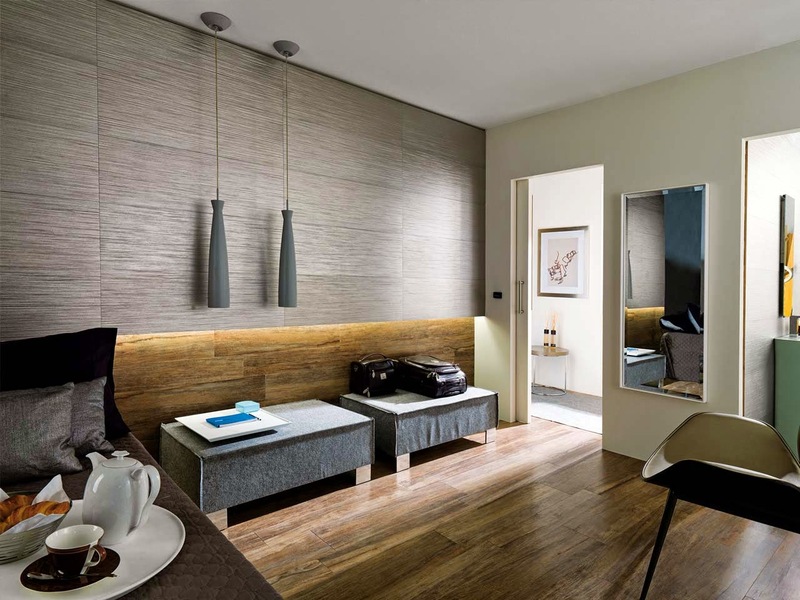 This room from Porcelanosa is so cool and has everything as required for bedroom. I wish some day I have enough money in my wallet to get my new house designed from Porcelanosa.